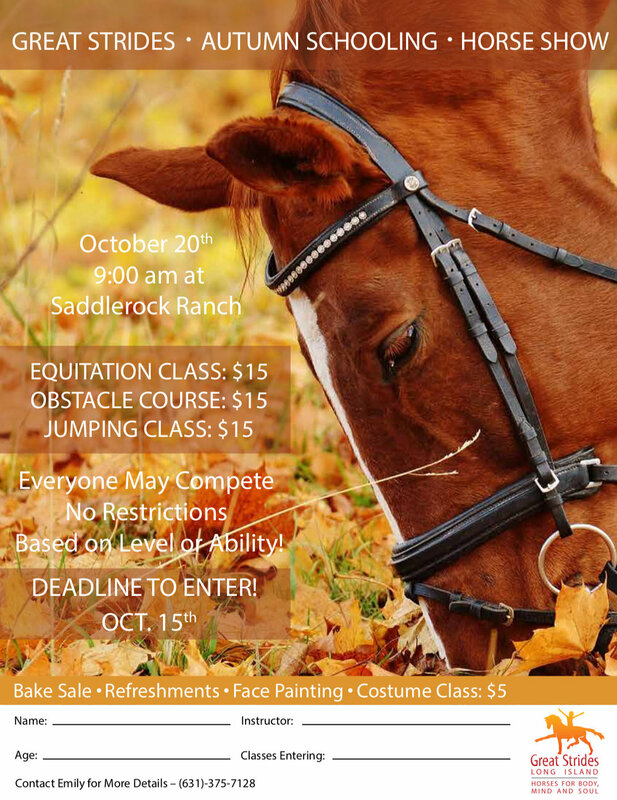 Great Strides is excited to announce our Annual Fall Horse Show is to be held on Saturday, October 20. 9:00 am. The show is open to all of our students and all abilities. This is a chance to show off what you've been learning! Bring your family and friends!